Virginia Beach to Ethiopia: It truly is a SMALL world! Andrea Gaines is our Founder and President here at Habesha Momma. She began HM when she was in her 2nd process and now has 4 beautiful Ethiopian sons. I am on the board of directors, and I have 1 beautiful Ethiopian son. The story of how we met and began servicing together in Ethiopia is quite a story. About two years ago, another board member, Dori Fileccia, invited us to a networking event. I didn’t know anything about Habesha Momma at the time and was really excited to hear about the work Andrea was doing in Ethiopia. We began to talk about her work there, and then about our Ethiopian sons. I don’t meet a ton of adoptive families in Virginia Beach that have adopted from Ethiopia, so it was exciting to talk with and share our stories with each other. Our youngest sons were the same age, but we had used different adoption agencies and thus, our kids were in different orphanages…. therefore, no way they would have ever met. After the networking meeting, we became Facebook friends and promised to get our families together. Then, life took over and we forgot to make those plans. One day, months later, Andrea saw something that popped up on my Facebook and she stopped to look through my page. She came across my album called “Remembering Ethiopia” and was in shock when she saw her son! When we were in Ethiopia in 2008, meeting and bringing home our son, we had a free day. We decided to go visit an orphanage in Addis Ababa to visit and make a donation. While there, we played with the kids and took lots of pictures. 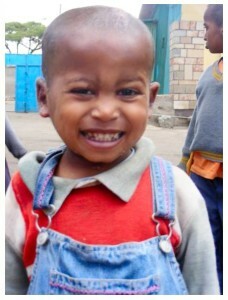 A few of these pictures made their way to my “Remembering Ethiopia” album on Facebook. In them, Andrea’s son can be seen smiling and playing! Months later, Andrea and her family traveled to bring him home. Isn’t’ that an insane story? I met Andrea’s son before she did simply because we had some free time and decided to visit his orphanage! We are 2 families who live in Virginia Beach, who decided to adopt from Ethiopia and somehow connected and became friends only later to find out our kids had met in country on a whim. Soon after Andrea contacted me about the pictures, we decided our families needed to meet. We met for a picnic lunch and everyone had a blast. We have all become great friends, and I love watching all our kids connect! Fast forward a year, and a board position opened at Habesha Momma. The board discussed my history with Ethiopia and asked if I would like to serve with them. It was an honor, and I was so excited to join them. I love my story of how Andrea and I met and how I became a part of Habesha Momma. I tell it often to remind people we are ALL connected. It truly is a very small world! 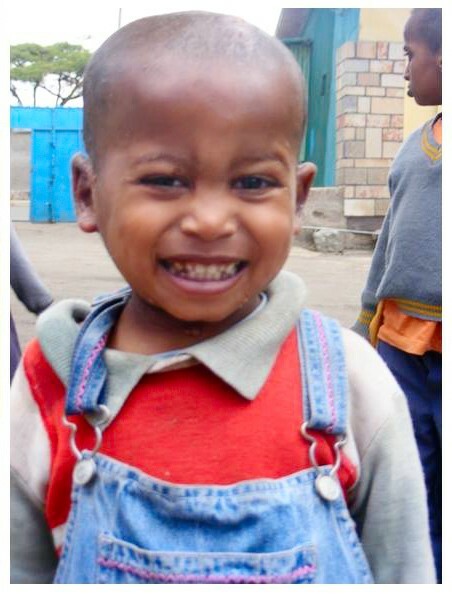 The big beautiful smile of Andrea’s son, Ermi, the very first time we met him. CRAZY that we know him now 8 years later!